Vikas Refractories specializes in premium quality Alumina Motar that is made from premium quality material that offers them supreme chemical and physical properties making them highly effective and efficient. The Alumina Mortar offered by us is in wide demand in the market due to its premium quality which is tested as per stringent international quality standards. 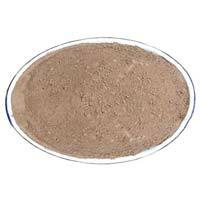 The easy availability and competitive price of our mortar has placed us amidst the luminary alumina motar manufacturers and suppliers from Katni, Madhya Pradesh. 95% passing trough the maximun grain size specified. The above data represents average test values subject to reasonable variations.